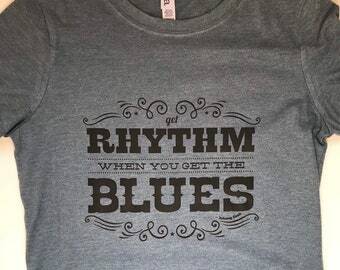 Get rhythm when you get the blues, girl! 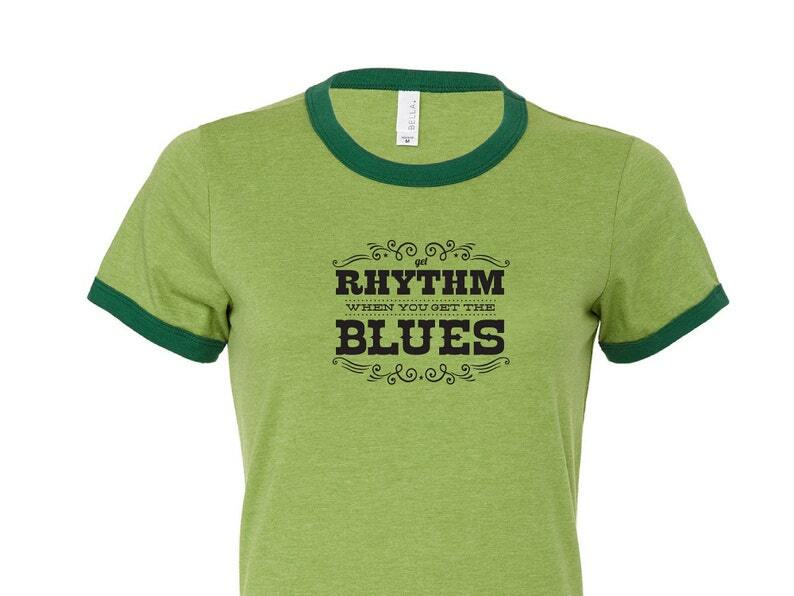 Get rhythm when you get the blues - an awesome girls tshirt inspired by Johnny Cash's timeless lyrics. 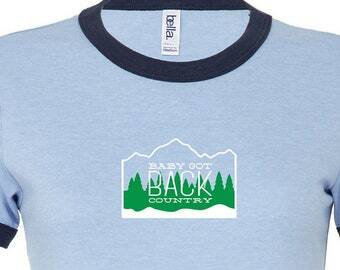 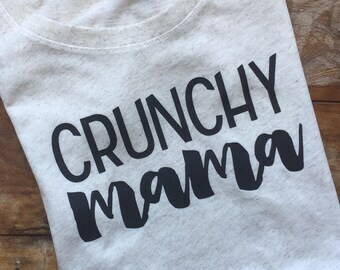 When my son was a few months old I was printing tees in my studio, listening to Johnny Cash as I love to do. 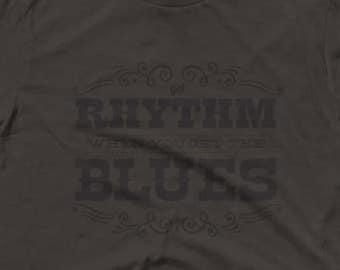 Get rhythm when you get the blues came on and I started thinking about how many people get the blues after their baby's arrival and how this song verse could be a reminder that this sweet and sleepless phase of life is fleeting. 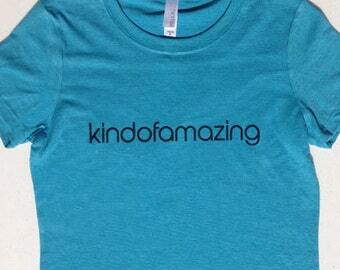 Take a moment, breathe, ask for support. 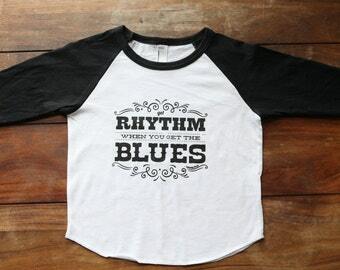 It will all be OK. Get a rhythm. 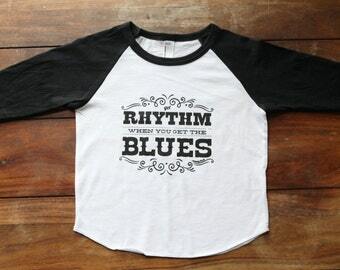 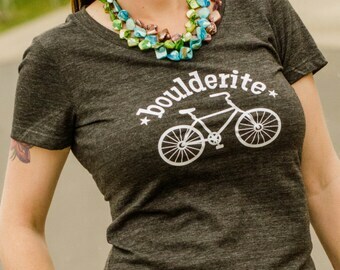 Infused with rock n roll in black ink on this super soft made in USA Bella girls ringer tee. 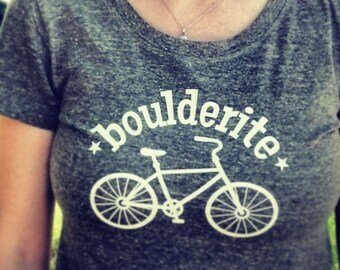 Designed and made with love by hand. 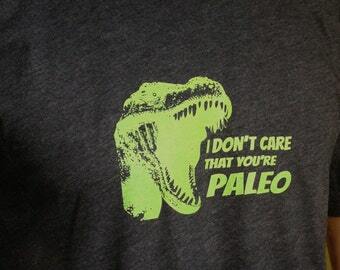 I don't care that you're Paleo Tshirt, mens t-rex dinosaur, funny graphic tee, t-rex workout shirt.